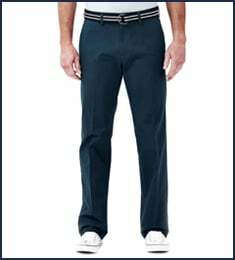 The contemporary styling and on-trend colors of our Performance Slacks ensure you always make a great impression. 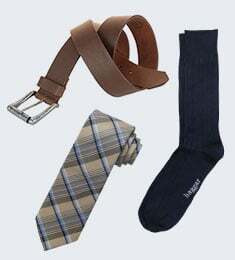 And their breathable moisture-wicking fabric and flex waist mean you never have to give on comfort to look sharp. Go from the office to wherever your evening takes you — without a wrinkle. 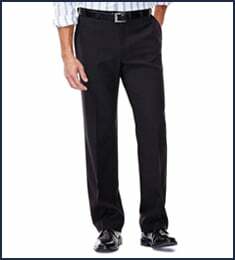 Big & Tall Performance Microfiber Slacks is rated 5.0 out of 5 by 1. 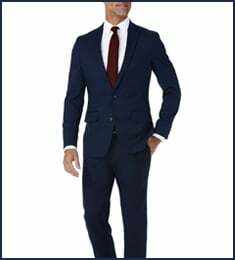 Rated 5 out of 5 by Chuck98382 from Great looking and great feeling slacks. Haggar comes through time and time again. I love ordering great slacks that come in any length you want...even my odd ball 29" length. They know how to make good looking clothes and they're my only source now for quality.